Boom Boom Pow...Table Tennis Wow!!! 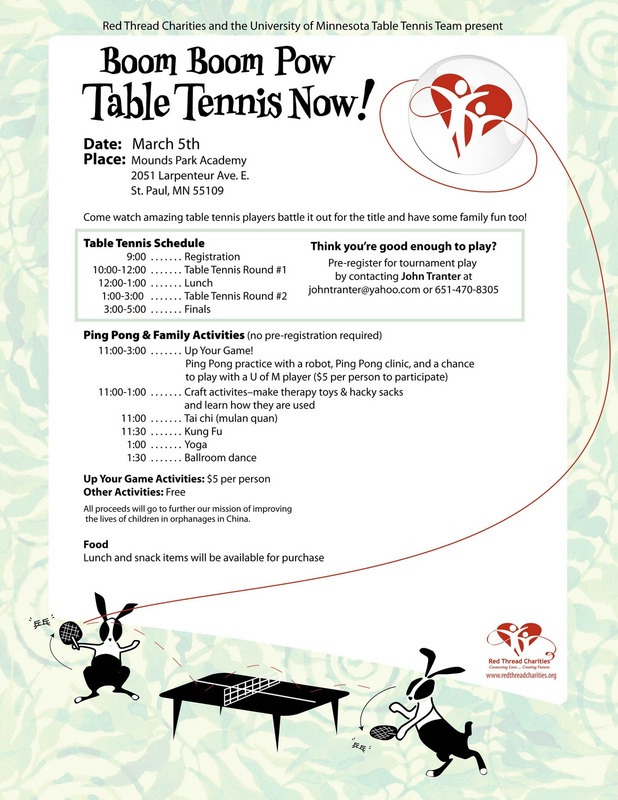 Next Saturday join us for a fun Red Thread Charities fundraiser in collaboration with the U of M Table Tennis team! Volunteers are gearing up to make this a great family event! 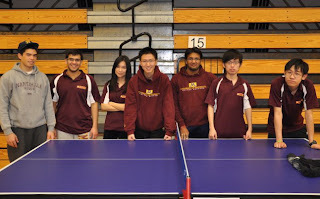 Mounds Park Academy is a gorgous facility and we already have almost 40 participants in the table tennis competition! I can't wait to watch the action! Check out the flyer and bring friends and family! Boom Boom Pow! Ping Pong Now! 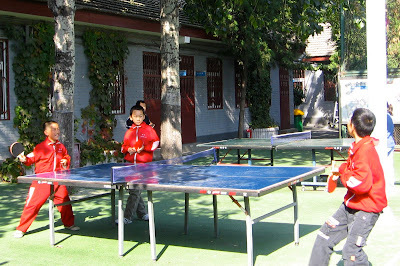 Table Tennis? Yes,TABLE TENNIS!! 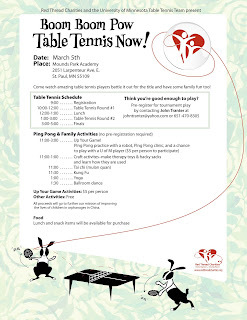 Please mark your calendar for the first ever Table Tennis Tournament benefiting Red Thread Charities. 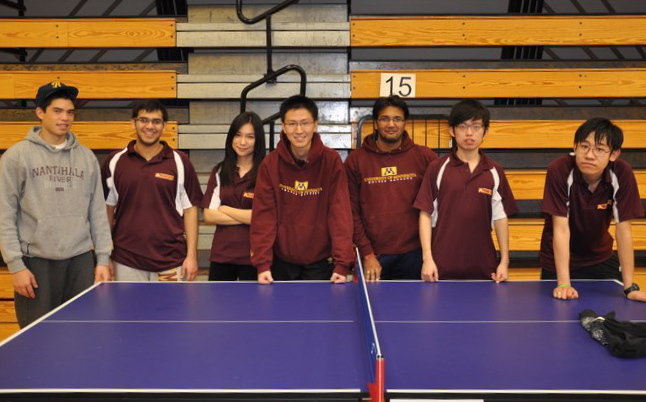 We are teaming up with the University of Minnesota Table Tennis Team for an afternoon of fun! Come to watch the professionals play! Get some professional training and advice! Bring your own paddles to play like champions! It is an event for everyone in the family!! Soup, salad and snacks available for purchase! We'll be posting the flier soon!